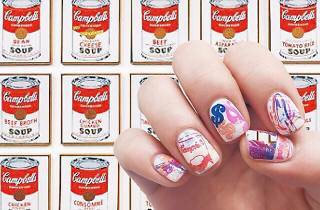 Our resident nail experts, Elizabeth Choi and Kaila Imada, explore the streets of Hong Kong to uncover the chic nail salons upping their game with crazy cool nail art you won’t find anywhere else. Be pampered in style at EightyEight, which offers luxe nail services from the comfort of its posh Wellington Street salon. Treat yourself to a fresh coffee or a warm matcha latte as you sit back and let the nail experts get to work. EightyEight’s pro artists are able to re-create some of today’s most vaunted, trendy nail art, from Valentino-inspired rock stud nails to black and white marbled patterns that look like they’re fresh from the quarry. Say goodbye to unnecessarily thick, garish nails as EightyEight takes the time to hand paint each design while finishing off with an even, thin topcoat. You can even have your pick of speciality nail stickers imported from Japan to go with your stylish manicure. Soft and hard gels start from $580. Within the hustle and bustle of Causeway Bay sits PikaPika, a charming nail salon with a dedicated pack of repeat customers who come back for its affordable services and fantastic handiwork. Owner and nail artist Shan Chan started designing nails back in 2004 and opened PikaPika in 2010 aiming to bring her creations to the hands of Hong Kong. Constantly browsing through nail magazines and photographs, Chan is inspired by seasonal trends and themes that her clients bring to the salon where she works her magic. Whether it’s colourful gel nails or twinkly art encrusted with Swarovski crystals and handmade sparkle dust, PikaPika is the perfect place to relax with your girlfriends as you treat your hands to the ultimate pampering. Soft gels start from $188. Hidden away from the frenetic streets of Tsim Sha Tsui, iNail’s immaculate salon offers true peace of mind. The moment you step into the iNail Workshop you can tell this is a salon where employees take their work seriously. The sterling white nail stations are a treat for anyone who has had a nightmarish nail experience before, and noise levels are kept to a minimum so that customers can sit back, read a magazine or zone out to TVB dramas while their nails are expertly buffed and polished. With 10 years of experience in the industry, you’ll want to take advantage of iNail’s full range of salon services, including facials, eyebrow treatments and foot detox treatments (we could all use one of those). Soft gels start from $420. 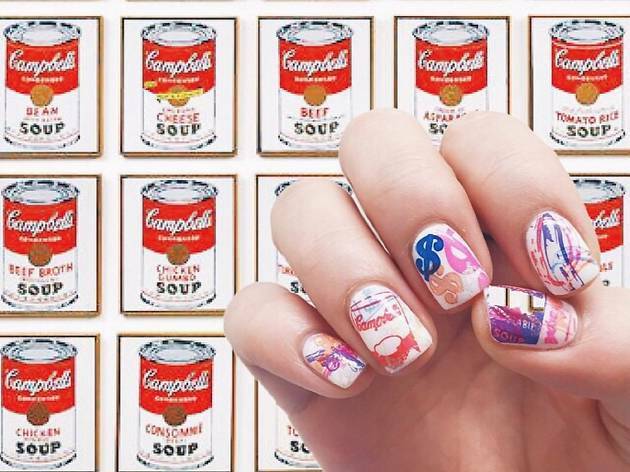 Luxe Nail is your Instagram account’s new best friend. One visit to this nail heaven and your digits are ready to be uploaded. Boasting an array of seriously swank designs – summer florals or effortless nudes with gold accents – Luxe Nail lives up to its name. If there’s any design you’ve been dreaming of, its artists can skillfully achieve it. With matching pink equipment, each nail station is a girly girl’s dream come true. Sink into their plush chairs and watch the experts transform your nails. Soft gels start from $248. Looking to mix up your nail game for autumn? Let’s Be Beautiful has no shortage of nail designs in mind. Whether you’ve always wanted to rock a coffin nail with ombré or fancy something cutesier like Gudetama or Minion nails, the ladies at Let’s Be Beautiful know how to please. Found smack in the heart of Causeway Bay, this salon prides itself on delivering one-of-a-kind nail designs using only premium polishes from brands like Jessica, Harmony, Essie and IBD. If your hands and heels need some tender loving care, stop by to pick up some Cuccio hand butter (they swear by it) and check out their selection of natural repair creams. Soft gels start from $298.